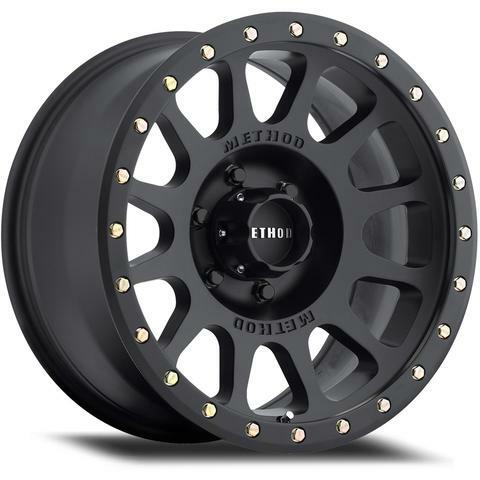 The Method MR305 Matte Black NV is a one-piece wheel that features a simulated beadlock ring by way of a strategically placed under-cut on the outer lip of the wheel. Around the lip are removable zinc plated bolts. This clean 12 spoke wheel is covered in a matte clear coat for protection and also has a push-through hub cover. 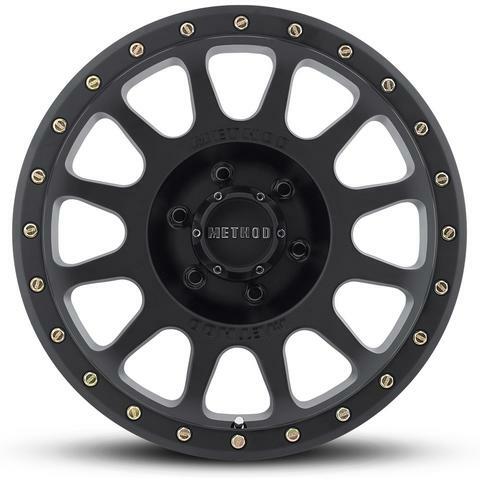 Around the center of a wheel, ‘Method’ is machined into the wheel face, a new look not yet seen on other Street Series wheels. The NV is offered in sizes ranging from 16″ to 20″ with applications for most trucks, Jeeps, SUV’s and dedicated off road vehicles.